After freezing in the arctic north, teams will be flying south to the much warmer south. 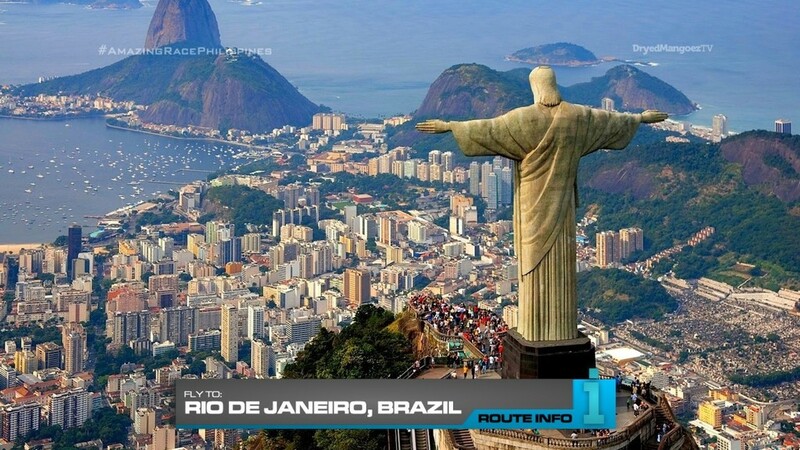 Specifically, Rio de Janeiro, Brazil! All teams will be flying via Ottawa and Toronto and will arrive in Rio at 10:25am. 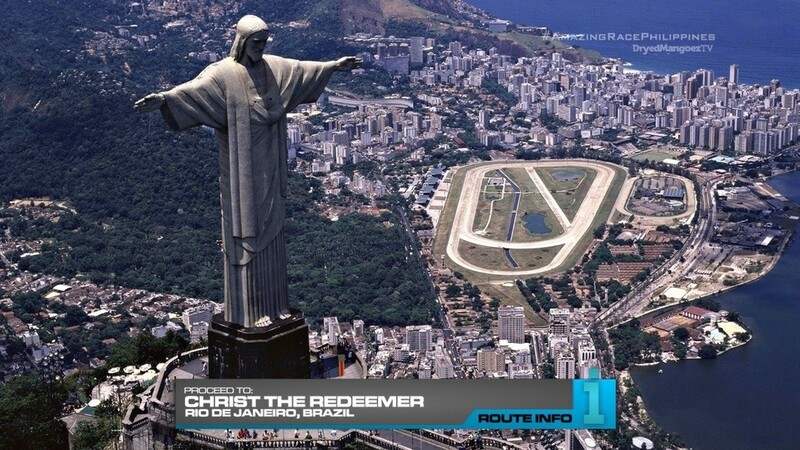 Once in Rio, teams must make their way to the iconic Christ the Redeemer for their next clue. 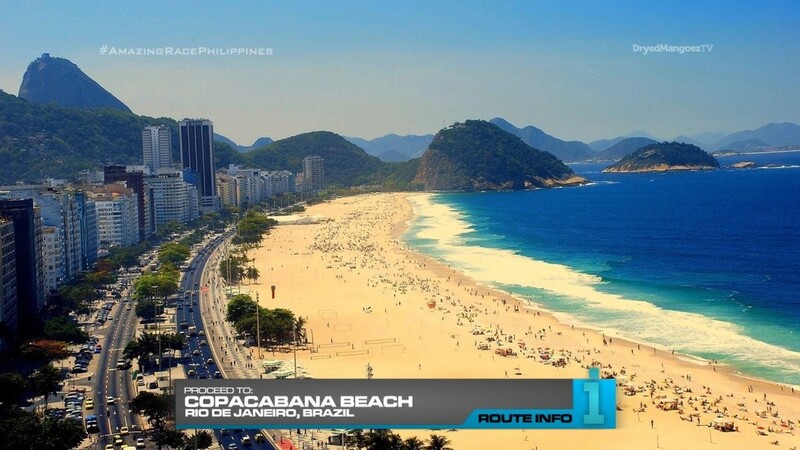 That clue directs teams to search Copacabana Beach for the next one. 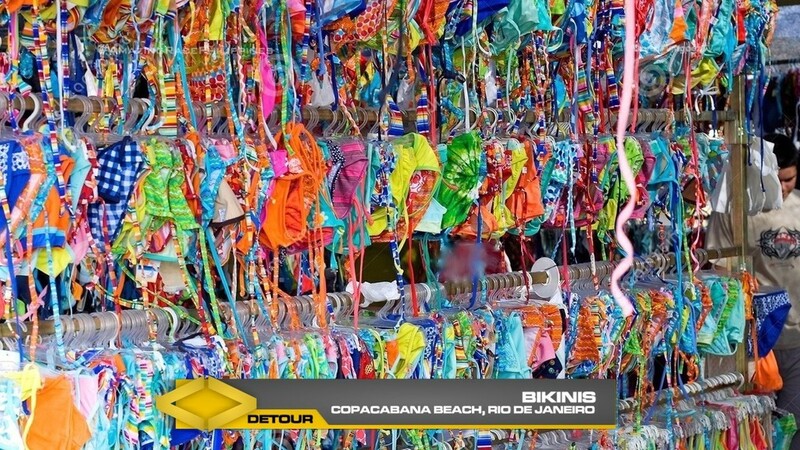 And that next clue reveals the Detour: Balls or Bikinis. For both Detours, teams must wear appropriate attire for the beach. In Balls, teams must play footvolley against two local pros. While the pros cannot use their hands, teams will be allowed to as they need to score six points before the pros score 18 to receive their next clue. In Bikinis, teams must choose two bikini tops and search through hundreds of bikini bottoms for two with matching designs. They must then convince two people on the beach (regardless of gender) to wear the bikini in order to receive their next clue. 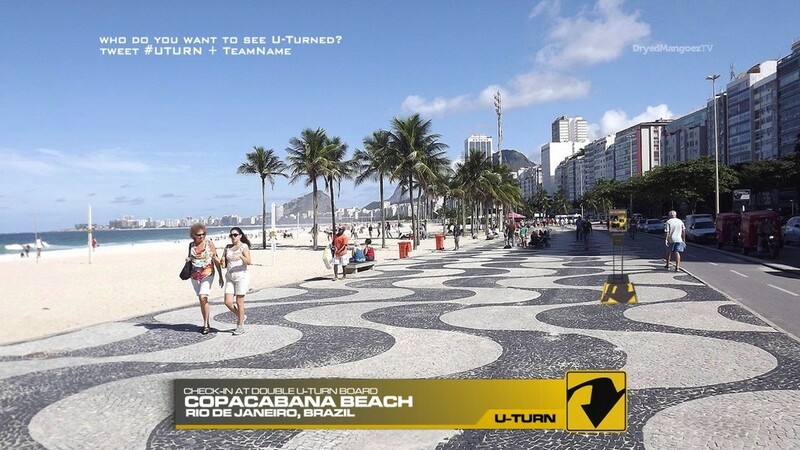 After the Detour, teams must search for the Double U-Turn board! 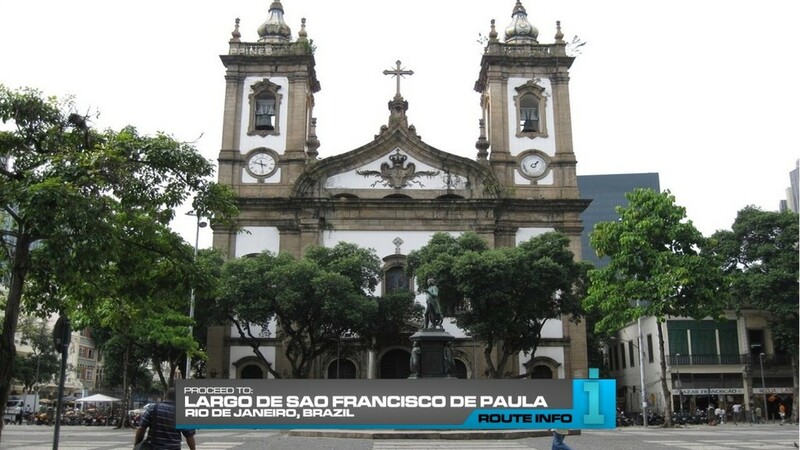 And after checking in, teams must find Largo de Sao Francisco de Paula. Here, teams will find the Road Block: Who’s ready to lead? 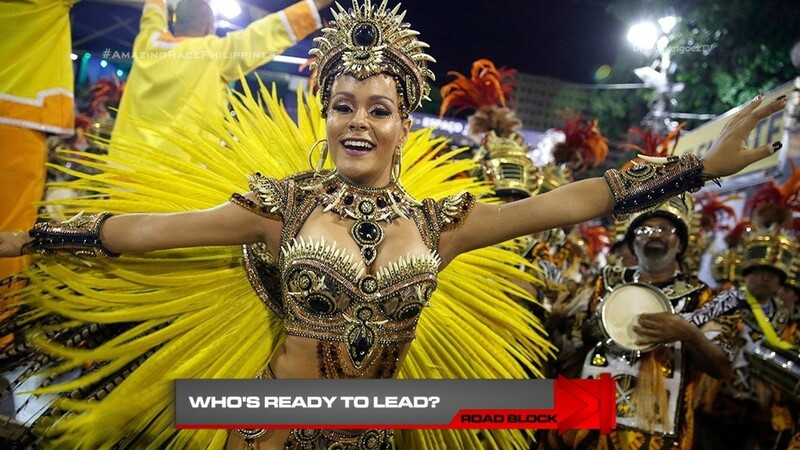 For this Road Block, teams must participate in a Rio Carnival parade. After putting on special costumes, teams must learn the samba and then lead a parade of dancers. If the Carnival princess approves of their dance, they will receive the next clue. Note! Both team members will dress up and must stay in these costumes for the rest of the Leg. That is, until the Pit Stop which is right after the Road Block. And that Pit Stop is located at Aproador Lookout. The first team to arrive here will win P200,000 courtesy of Shell V-Power Nitro+. 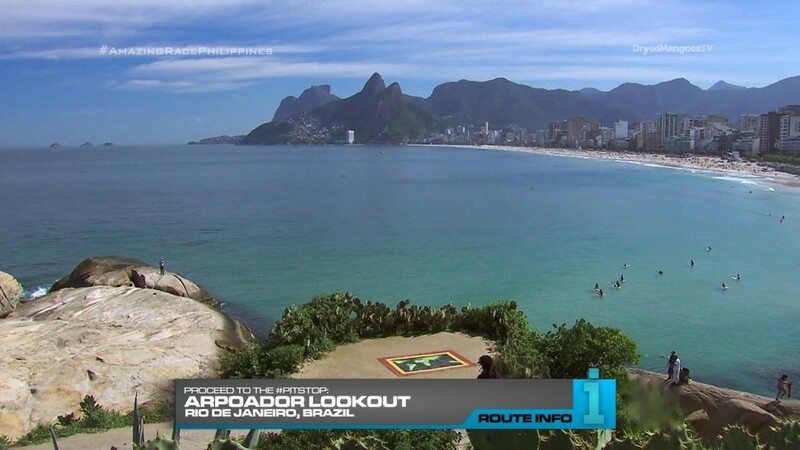 So, it will be great to have teams go from the extreme cold and snow to the heat and beaches of Rio. Should be another great “shock” to the teams. This Leg pretty much recycles from all the Rio Legs ever on any TAR. The Detour is from several TARs while the Road Block is from TAR18.